Shop online for 73 in stock jigsaw puzzles at discounts up to 46%. 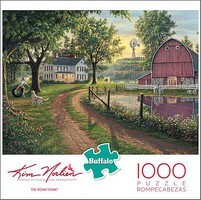 600-1000 Pieces is the most popular of the 5 in stock jigsaw puzzles categories, then 3 Dimensional, and Wooden. Buffalo Games is ranked #1 out of 8 in stock jigsaw puzzles manufacturers, followed by Cubic Fun, and Daron Worldwide Trading Inc.. 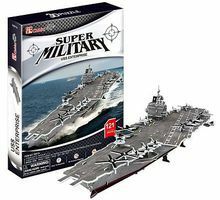 This is the USS Enterprise Aircraft Carrier 3D Foam Puzzle (121pcs) 3D Jigsaw Puzzle by Cubic Fun. This is the White House 3D Puzzle with Base and Lights from Daron Worldwide Trading. Suitable for Ages 7 and Older. 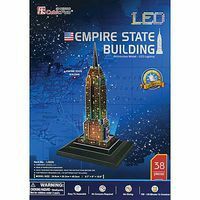 This is the Statue of Liberty 3D Puzzle with Base and Lights from Daron Worldwide Trading. Suitable for Ages 7 and Older. 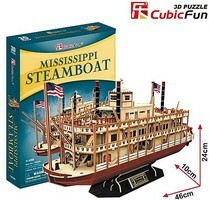 This is the Queen Anne's Revenge Pirate Ship 3D Foam Puzzle (155pcs) 3D Jigsaw Puzzle by Cubic Fun. This is the St. Patricks' Cathedral 3D Puzzle from Daron Worldwide Trading. Suitable for Ages 5 and Older. This is the Statue of Liberty 3D Puzzle from Daron Worldwide Trading. Suitable for Ages 5 and Older. This is the Sydney Opera House, Australia (900pcs+) 3D Jigsaw Puzzle by Wrebbit.